Running of the Turkeys 2013!!! The Running of the Turkeys Charity 5k Fun Run/ Walk / Stroller Jog in beautiful downtown historic York, SC is about to have its 4th anniversary! We have been very lucky to see growing crowds at each race and we hope this year to blow all our records out of the water! This race was started by a few friends who wanted to run for a reason and out of that the Running of the Turkeys was born. This race is hosted Thanksgiving morning, which could not be more appropriate for it is all about giving back. All funds go to the local charity P.A.T.H. (People Attempting to Help) and there is also a food drive at the starting line. In 2012, the race had over 300 participants, raised over $5,000, and brought in over 500 lbs. of food for our local population in need. That sure is something to be thankful for! We know 2013 will bring even more surprises so we hope you can join us! PS. 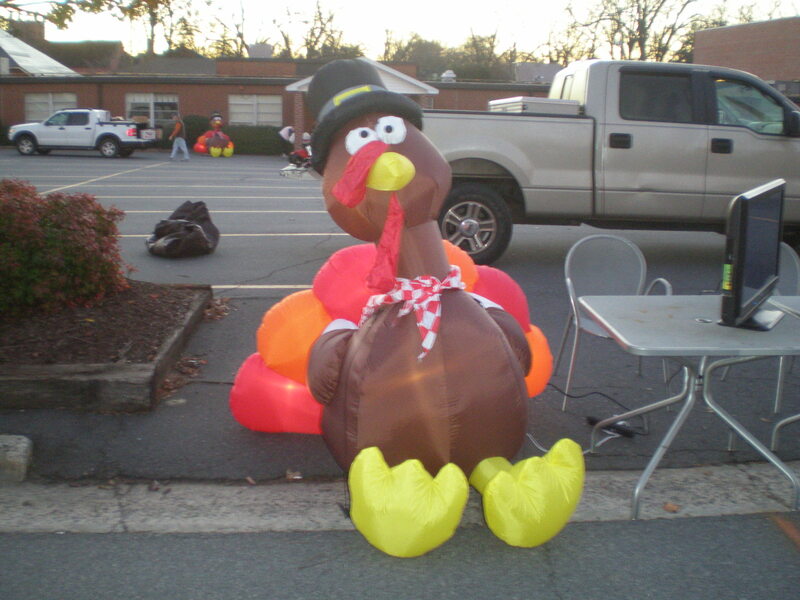 Only 5 and 1/2 months until the Running of the Turkeys 2013! More info to come soon! Our time keeper and his (very small) assistant!